*It is illegal to sell prescription medicines without a prescription. Patients must be seen in a doctor’s office for the prescription. Careful records must be kept by the doctor’s office. 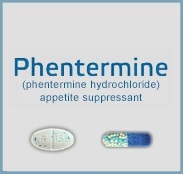 That is why Phentermine from online sources are usually illegitimate as it is illegal to sell prescription medicines without a doctor’s prescription. Please contact our office directly to schedule an in office consultation to determine if this treatment is most beneficial for you.